AUF Animal Urine Formula Qt. AUF Animal Urine Formula. Life’s Great Products, LLC., is the first company to discover the animal urine code. AUF uses a formulation created to remove animal urine and all its components. 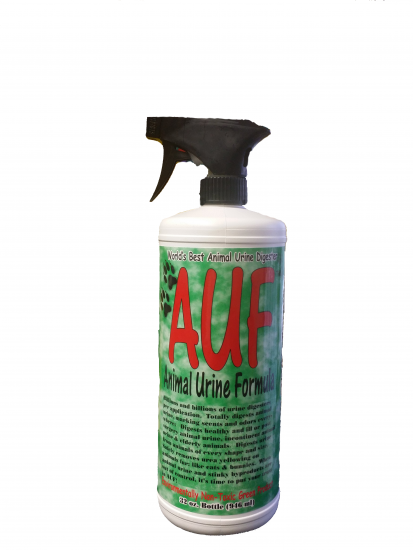 Animal urine is nearly impossible to remove with formulas other than AUF. If you need to get rid of animal urine you have very few choices. You can purchase products made from human urine formulas (30 % of products sold), drain opener formulas (35% of products sold), junk science formulas (34% of products sold) and now a true animal urine formula (Less than 1% of products sold).